As a co-founder long acclaimed for exquisite writing skills, Elly has been playing a major role in maintaining and expanding our client base. 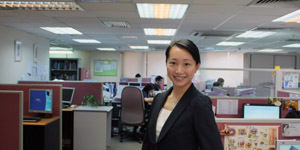 Over the years, she has been the most preferred linguist of many corporate clients that are looking for a truly professional translator with long exposure to different genres and a high command in English and Chinese. Her clients range from first-class multinational corporations in different industries to government organs and public bodies. Apart from her linguistic contribution, Elly is also in charge of our client servicing department to ensure smooth corporate, thanks to her strong links with corporate clients where we have geographical presence.